Elegant Sterling Silver Mesh, Swarovski crystal necklaces & Bracelets with lobster clasp. 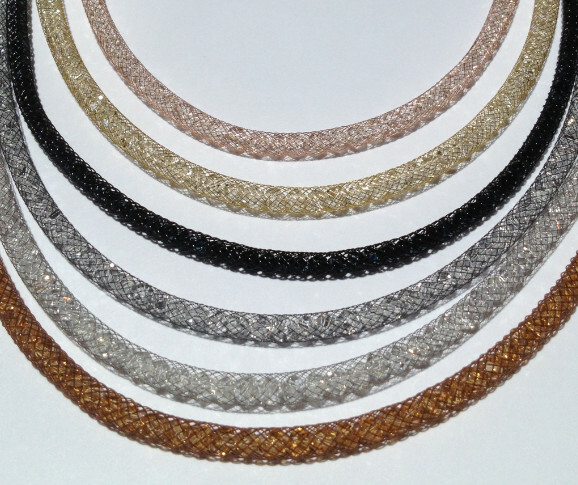 These sparkling necklaces come in sizes 16in, 18in & 20in lengths. The bracelets are 7.5in long and come in magnetic or lobster clasp options with extenders. Choose from 5 different color-tone variations and 2 gemstone colors!